One of the things I am frequently asked is “how do i design and build a good outdoor cat enclosure”. Well there are many things that need to be considered but with careful planning you can build your own outdoor cat run . Location is very important. You should look for an area around your house that provides shade, easy access and fastening points for netting or wooden support structures. Try not to use an area that is exposed to the afternoon sun (unless you live in a cold climate of course). You should also consider a cat run design that does not look out of place and also accommodates your lifestyle. For example their makes no sense in having a cat enclosure surrounding covering a main entry and exit point. If your cat enclosure covers your back door and in order to access the back yard you have to open the cat enclosure every time then your cat enclosure will turn into a nuisance. 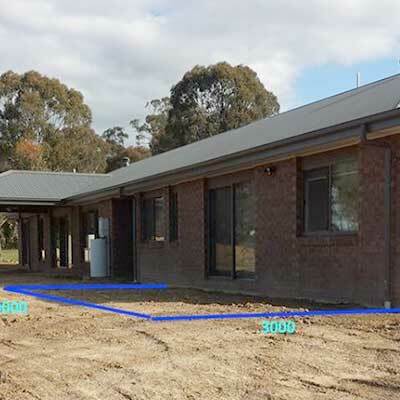 Depending on your property layout and your budget you can either design a separate cat enclosure which you simply put your cat in as required or you could even consider enclosing your entire yard – giving your cat free reign of your property. After you have determined the type of enclosure you wish to construct you then have to measure up and decide what sort of materials you wish to use. Choose carefully because cheap materials often do not last. 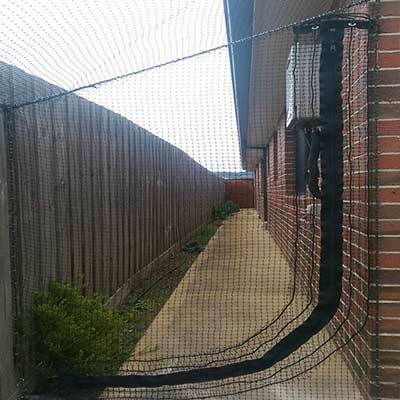 And they also can be dangerous to your cat (cats can become entangled in the net material). We only use the highest grade cat netting that is shown to last and resist rain, solar radiation, and general degradation. 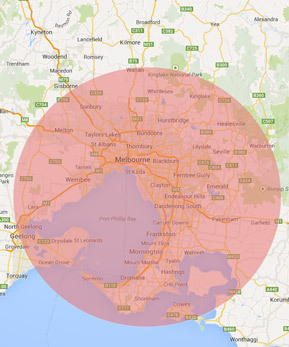 Melbourne has a wide variety of extreme weather which can degrade cheap materials quickly. As for the frame work again it depends on your budget but treated pine is probably the minimal choice for any frame construction. Its not uncommon however to use steel for certain structures (doors for example) but in every case the type of material chosen should be able to withstand the elements for years – without degradation. If you have basic renovation skills and tools you can attempt this your self. The subject matter here is too wide and varied to explain in a single article (more to follow) but an out door cat enclosure should be solid and resist general day to day impacts. There are many things that you should populate your cat enclosure with to keep your cat both happy and safe. Scratching poles become trees, Cat shelf become Tree Branches and any covering becomes a small cave to your cat. Also having some form of water access is allways handy to make sure you cat has ample supply of water and food when you are not around. Make sure the water is in a shaded area and provide weather protection shields so your cat is well protected from the elements. You should always regularly inspect your nets and mountings to any fixtures have not come adrift and left spaces for your cat to escape. Also inspect the nets for any breaks. Of course if you use the right quality components maintenance will be a simple affair. The secret to building a successful cat enclosure is a planned methodical approach. Selecting the right materials, location and design are all as important as each other. If you take the advice on this page and carefully consider each element, you can also build a high quality, long lasting and durable cat enclosure. Well, My kitties now have 19.5 meters of cat run to play in, thanks to the amazing Charlie and team.... read moreWell, My kitties now have 19.5 meters of cat run to play in, thanks to the amazing Charlie and team. Great work, fantastic service. Absolutely AWESOME gate! !